I.C.K.F. stands for International Chito Ryu Karate & Fitness. I.C.K.F. 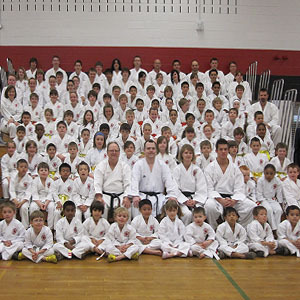 is one of the many Chito Ryu Karate schools spread across Canada and around the world. Our School was established in January 2000 and our facility opened on May 1st, 2002. The 2500 sq. ft. facility bolsters a large training area equipped with mirrored walls and W.K.F. (World Karate Federation) mats to train on. The facility also has men’s and women’s change rooms and washrooms, equipped with showers as well as a waiting and viewing area. ICKF Karate School offers three great programs to choose from; Pee Wee program (ages 4-6), Children’s program (ages 7-12) and Adult program (ages 13 and up). Great care has been taken to ensure that each program at ICKF is tailored specifically for the needs of each age category. The positive atmosphere at ICKF is contagious and creates a healthy learning environment. Positive reinforcement is used throughout all of our programs helping to build self esteem and confidence. Children and adult memberships can train as often as they wish. The flexibility of the schedule allows ICKF children and adult students many opportunities to take part in our excellent classes. 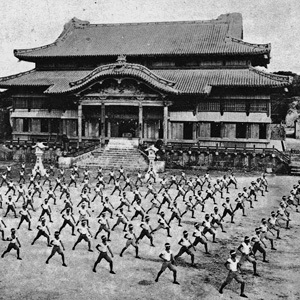 Karate-Do is a martial art that was developed on the island of Okinawa (Japan) long ago. Karate is comprised of blocks, kicks, punches, throws and holds. It is practiced by millions of people worldwide. Karate is a proven form of self defence, a great physical workout, a fast action sport, excellent confidence builder, and can instill discipline. 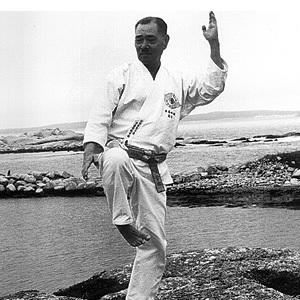 Chito Ryu is one of the many styles of Japanese/Okinawan Karate-Do. Chito Ryu was founded by Dr. Tsuyoshi Chitose, 10 th degree black belt (1898-1984), who based his style of Karate on the ancient Karate he had learned. He combined what he had learned with his knowledge of physiology and anatomy. Chito Ryu’s roots can be traced back one thousand years to the “TO” era in China. 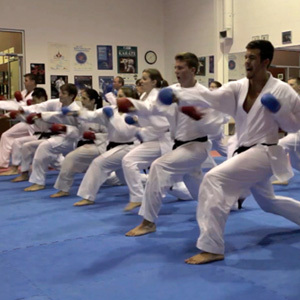 Chito Ryu Karate-Do in Canada is organized by the Canadian Chito Ryu Karate-Do Association, which is lead by Chief Instructor, Sensei Shane Higashi. Sensei Higashi trained directly under the founder of Chito Ryu Karate Do, O Sensei Dr Tsuyoshi Chitose 10th Dan. 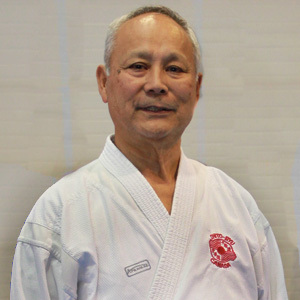 Sensei Higashi has been training and teaching Chito Ryu Karate Do for over 50 years. Sensei Higashi holds a 10th Dan black belt and also holds the teaching title of Hanshi (Grand Master). 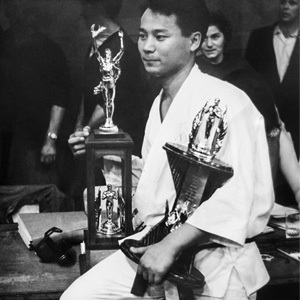 Sensei Higashi is one of the few Karateka (karate practitioners) to hold such a rank and title. 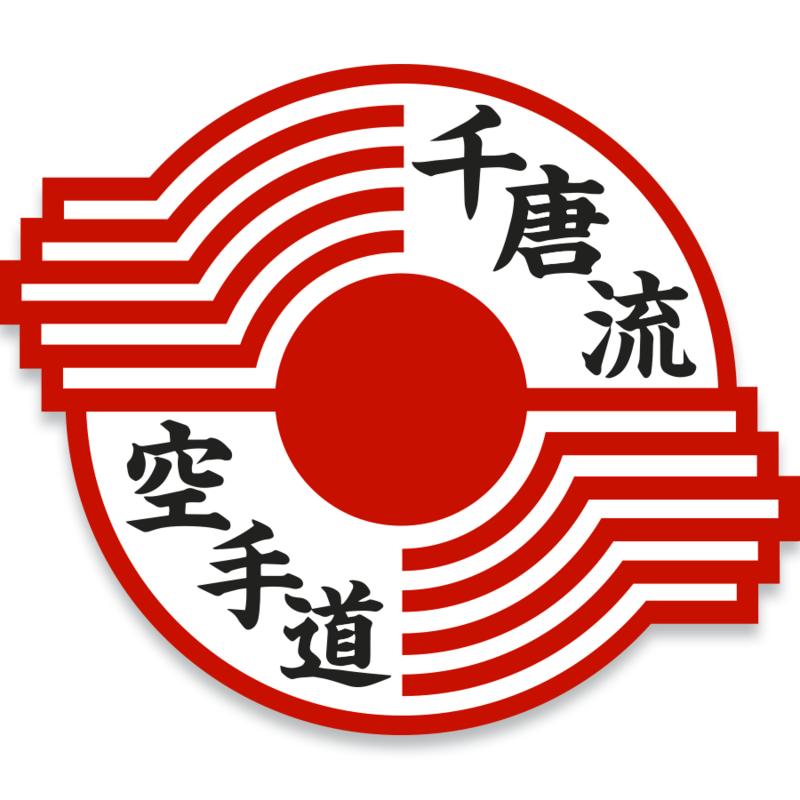 The Canadian Chito Ryu Karate-Do Association is a nonprofit organization and ICKF Karate School is one of the many Chito Ryu karate dojo’s that are affiliated. © 2019 I.C.K.F. Karate School. All rights reserved.